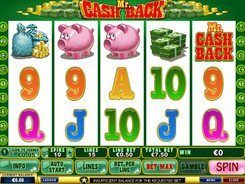 Wall St Fever is a Playtech-developed slot machine consisting of five reels and five paylines. 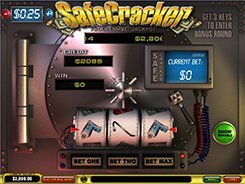 Its most enjoyable feature is a chance to grab a progressive jackpot which is growing up every second. On betting a fairly small amount, you are in a position to get into big money. 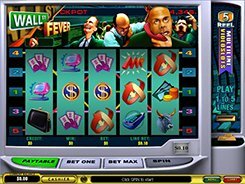 You’ll grab the progressive jackpot if you place the maximum bet and hit five Wall Street symbols on any active payline. 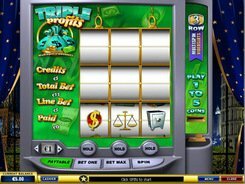 The slot uses the symbols of a computer, bull, briefcase, dollar sign, chips, tickets and coin purse. The biggest win of 2000 coins is given for five Bull symbols on an enabled payline. Three zig-zags (Bonus symbols) on an active payline activate an atmospheric bonus round. Here you will get to trade stocks and receive cash prizes. 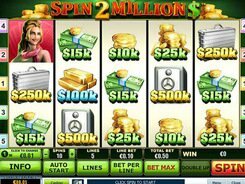 Three or more free game symbols award you up to 50 free spins where you can win incredible cash prizes. PLAY FOR REAL MONEY!